Connect with the roots of classical yoga and join an afternoon of slow, conscious yoga and some powerful and grounding meditations. May Croyde Surf and Yoga Big Weekend! To kick off the first weekend of the year we are starting with a bank holiday special, a three day adventure in North Devon! 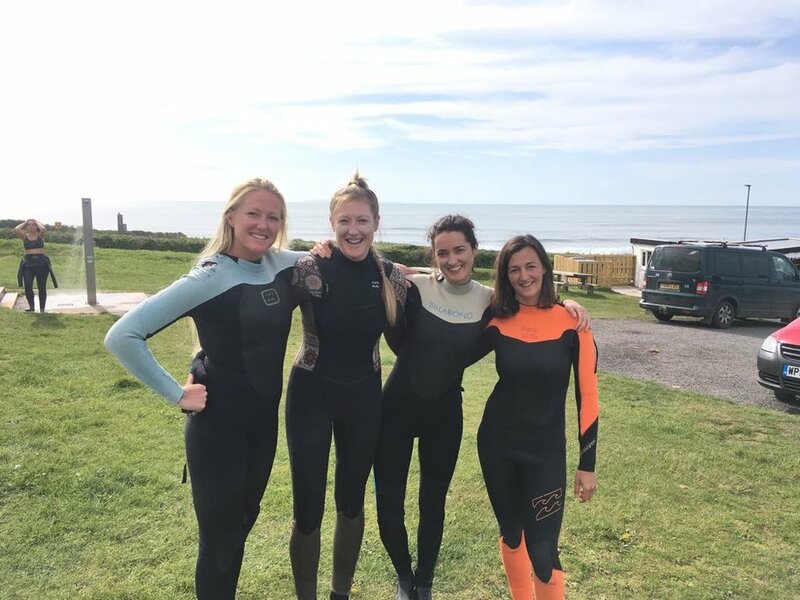 A surf and yoga adventure in North Devon! Swell Yoga will be taking over the Madagascar Surf Lodge from June 29 to July 11 for 11 days of surf, yoga and adventure, Madagascar style! This will be a Sunday morning workshop for ocean-minded people, with anatomy for surfers, big-wave breathing practices and an all-levels yoga class to strengthen for sea adventures. Swell Yoga will collaborate with surf physiotherapist Kate Kingston to bring you the full package! We will kick off with a talk on how our bodies move in the water and how we can avoid injuries, followed by an all-levels yoga class incorporating strengthening poses and finish with a breathing exercise to cultivate greater focus and control in the water (as practiced by many big-wave and professional surfers). The session is for all levels of experience – come along for a lively and fun morning and get prepped for your next ocean adventure! Anatomy for surfers - a description of the most common injuries for surfers, which parts of the body we use the most and where we need to strengthen. Yoga for surfers - to build strength for paddling, duck-diving and pop-ups. Breathing exercises - to focus the mind, as inspired by the “Iceman” Wim Hof. If the winter has left you feeling disconnected from the outdoors, come and join a fun, lively workshop to get you back in sync. This will be the second week of good vibes in Morocco! A few lucky ones might even make it out for both weeks. The SwellYoga crew will be staying in a private apartment and local surf camp Surf Berbere will provide breakfast, surf lessons, equipment hire and other adventures. Join a week of yoga, surf and good vibes in Taghazout, Morocco! Join us to relax, de-stress and refuel with this mindful and energizing weekend. Just yoga, surf and good times. We will be serving delicious and healthy dinners and wholesome breakfasts to set you up for a day of activity. We will be staying in a private rented cottage, 5 minutes walk from the beach. 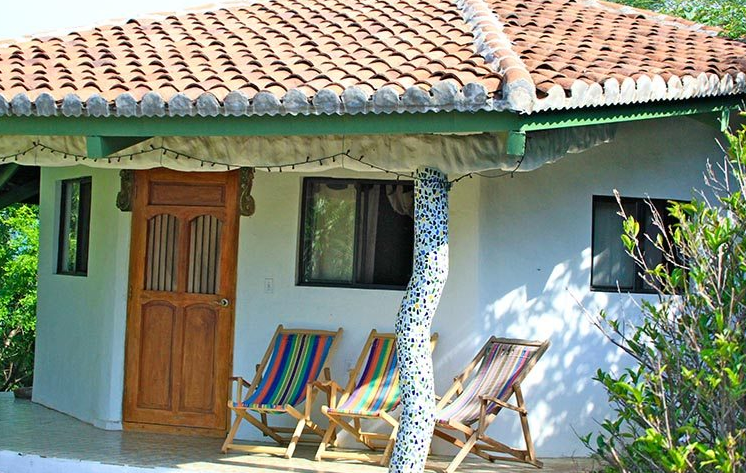 Join a week of yoga and surf in Popoyo, Nicaragua. We will practice yoga in the morning and evening in beautiful locations around the estate, and surf, fish and trek in the daytime. Join for a recharging and active week in jungle paradise, surfing the best surf spots in Nicaragua. No matter what your level of experience of yoga or surf, this is a beautiful opportunity to improve your stability and flexibility, spend some time meditating and surf yourself into a stoke coma. The Good Vibes Feast is back for more adventure and yoga in Croyde Bay! We will be feasting on delicious food and getting stuck into all the surf and yoga we can manage, as we start to waken our stuff winter bodies for the warmer months. Welcome to The Good Vibes Feast, a plan concocted by a cook passionate about sustainable food and a yogi passionate about surfing. We are holding two weekends this year, one in October and one in November. The weekend will immerse you in the elements of Air (yoga), Fire (outdoor cooking), Earth (local fresh produce) and Water (surf), for a nourishing and wholesome adventure. Come join us in Croyde for a weekend of feasting, yoga and surfing!